During my childhood and adolescent years, I would often find myself exploring historical sites such as Roman ruins, ancient castles, and stately homes. Not only did it give my exasperated parents something to keep me busy during the holidays, but it also fueled my love for history. My strongest memories are the fantastical stories told by local people (often gardeners and housekeepers) that had been polished and refined with the generations. Stories about faeries leading fine people astray, devils waylaying travelers and princes locked away in towers fuelled my imagination. I was skeptical as a child but the environment in which the tales were recounted would ground the tale in real life and make it harder for me to push aside the ghost stories so lavishly told. 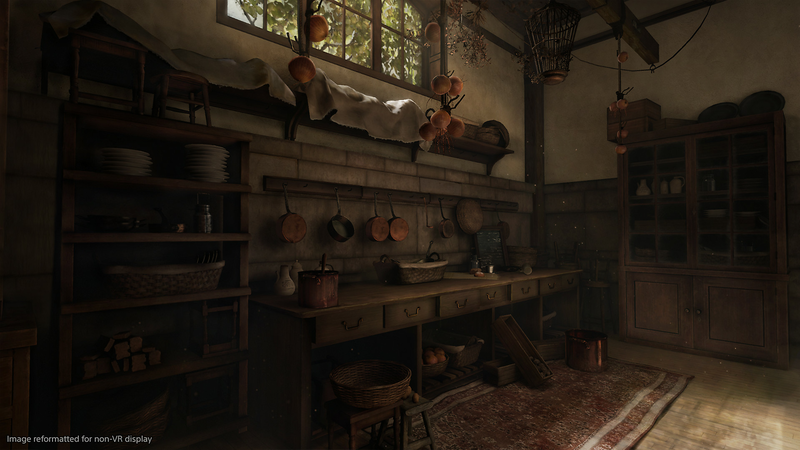 Déraciné (from the makers of Bloodborne and Darksouls) has magically captured these stories and lovingly crafted a beautiful little tale that is perfectly told in VR. In Déraciné you take the role of a brand-new Faerie born on the grounds of an English boarding school. No one can see you as you pass hauntingly through the corridors of the school. You can move in amongst the inhabitants as they are frozen in time interacting with them in order to help them. You are rewarded with cutscenes showing how your tinkering has either aided or worsened the child’s plight. 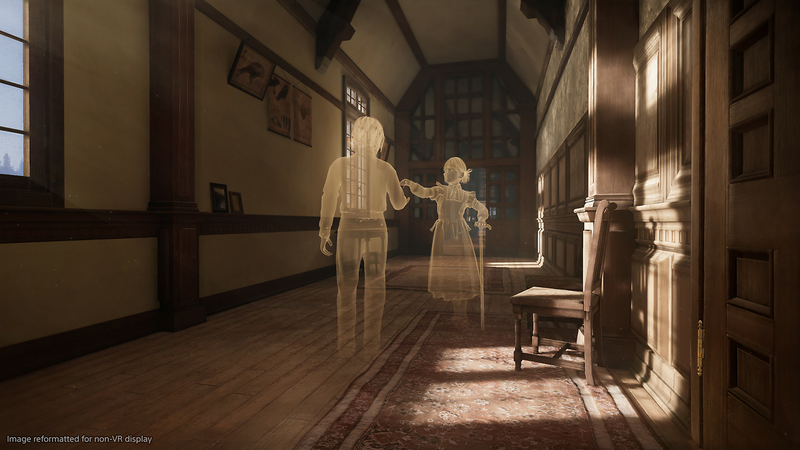 As you unlock these brief cut scenes you discover more about the mysterious past of the school as you unlock and open new areas you heartily want to explore as Déraciné is clearly the most beautiful game on PSVR. The School, chapel and surrounding grounds are so well realized in VR, with nooks and crannies that beg to be explored. The game maintains a dark and eerie sense as it progresses that constantly made me feel on edge for the children. The tale is tightly woven and even hours after putting the game down I would realize another branch of the intricate plot. 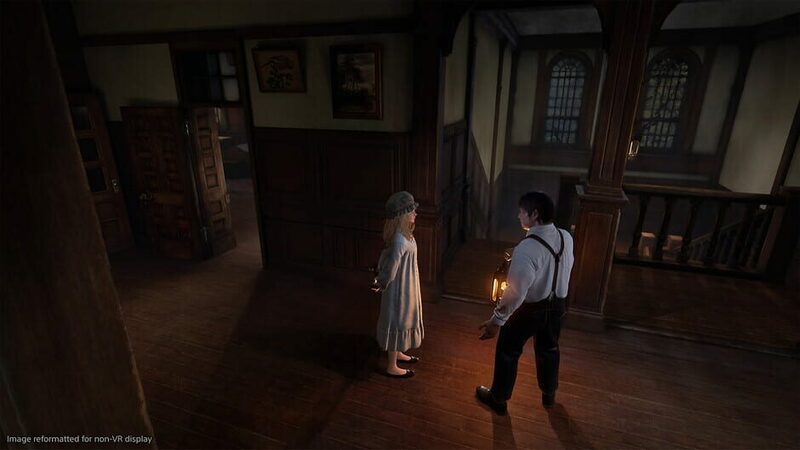 With Déraciné, the team from Software utilized the move controllers for locomotion. A combination of teleportation to predestinated spots, click turning and gesturing with the headset control your movement around this world. Turn and look and you will see blue hotspots where you can teleport to. Circles that glow and have a greater aura surround points of interest where you get to investigate up-close and interact with characters and the world. Though I am a strong supporter of smooth motion in VR (I’m one of the fortunate few who doesn’t get motion sickness) this system works well in this setting. By highlighting certain areas, it streamlines the experience allowing the story to flow rather than getting stuck for hours when you either can’t find object A or you don’t make the connection. The one downside is it can feel slightly jolty having to haul yourself from one side of the school to the other. This does occur often as you suddenly find the item you’ve been searching for but overall, I felt it didn’t detract from the game. This is a point-and-click adventure game at its core, find item A that works with B and outcome C will occur. It’s a simple mechanic that is well worn in the world of adventure gaming. If you are used to the genre you will breeze through the gameplay and be able to focus in on the story as this game has decided to avoid the mind-taxing puzzles that you would find in games like Grim Fandango in favor of more beginner friendly ones. Though I would have liked more of a challenge, the intricate story and astonishing environment kept me firmly on track for the six-hour run time and brought me back for a second run. What I love is how VR and the proven team at From Software have taken this classical (some may say old) style of gameplay and elevated it to something new with the ability to be fully immersed into this fantastical world. Coffee received a copy of Déraciné for review. Deracine is so damn excellent. I really, really enjoyed it and man that ending was great.